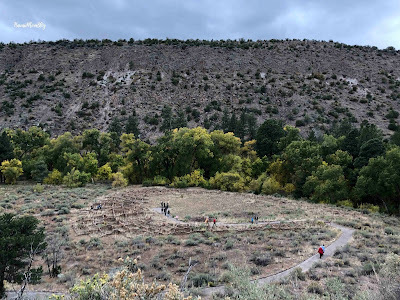 One of the most interesting places we visited while in New Mexico was Bandelier National Monument. 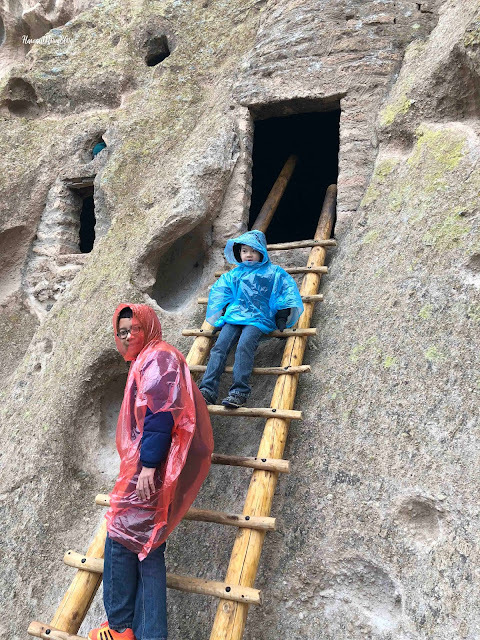 The Bandelier National Monument spans 33,000 acres, and preserves an area that was once inhabited by the Ancestral Pueblos. 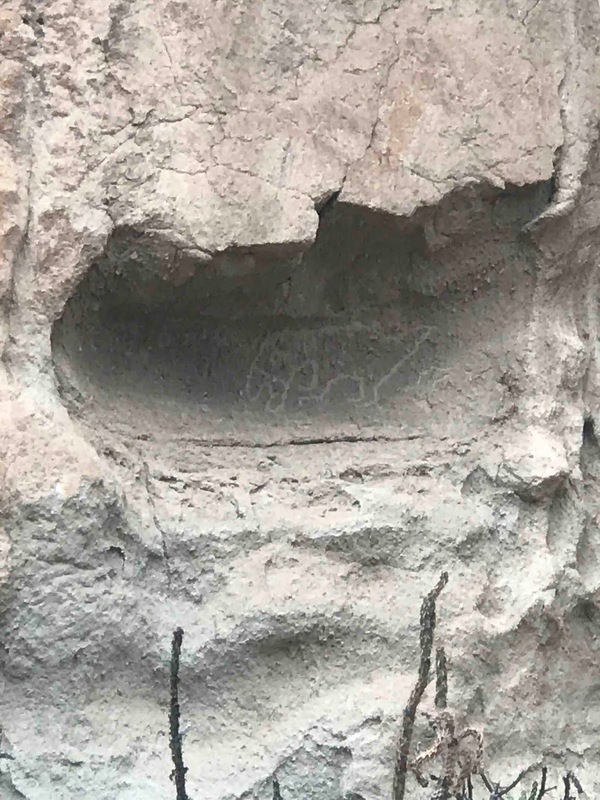 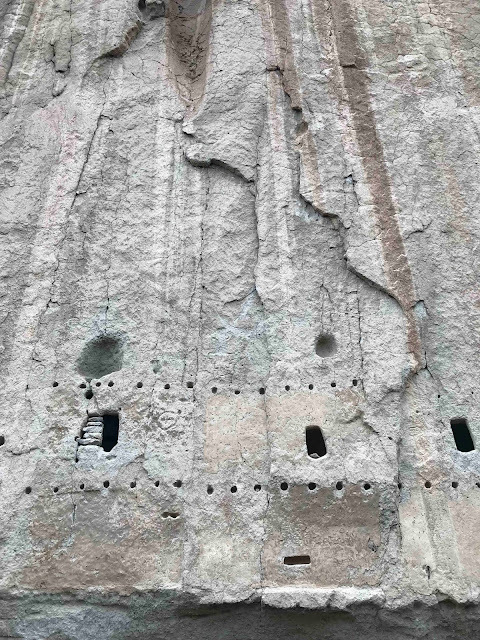 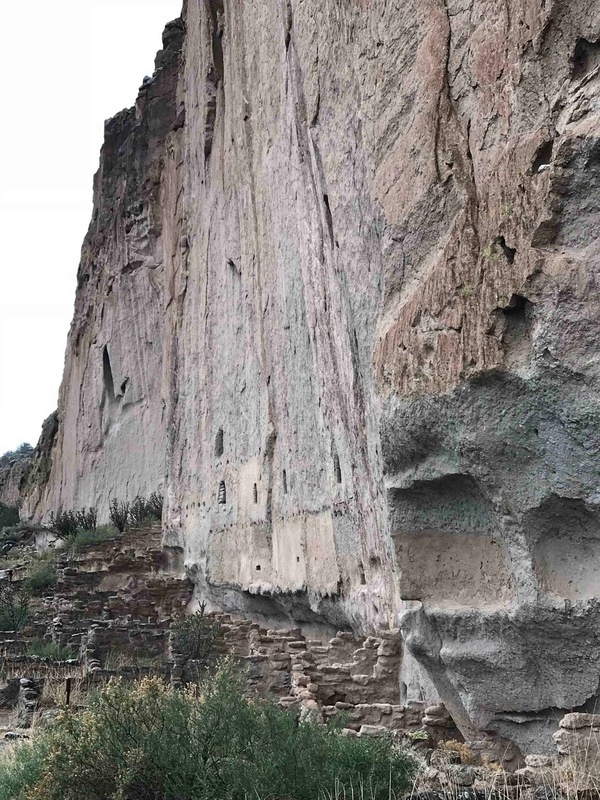 It is estimated that they lived in Bandelier from 1150 CE to 1550 CE, as is evident by the cliff dwellings, petroglyphs, and structures found throughout the area. Access to Bandelier is limited, as cars are not allowed to the monument - you must take a free shuttle from the Visitor Center to get there. 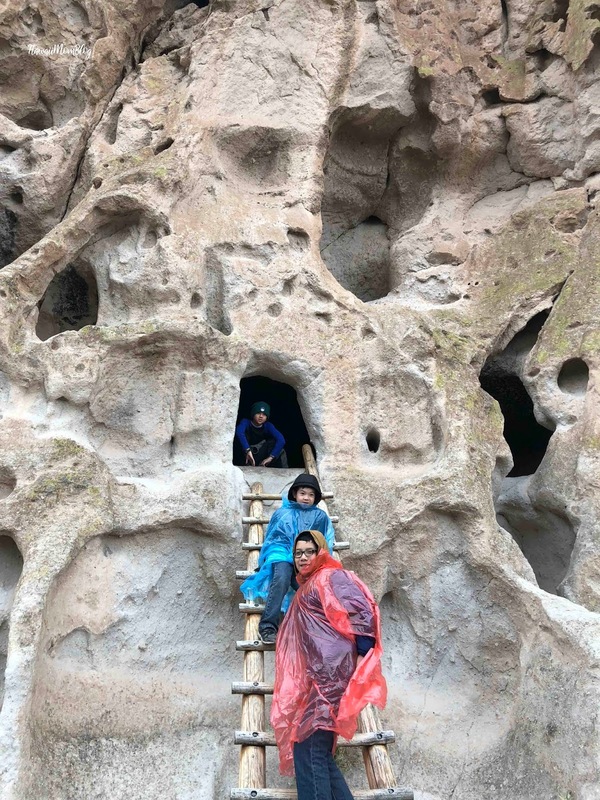 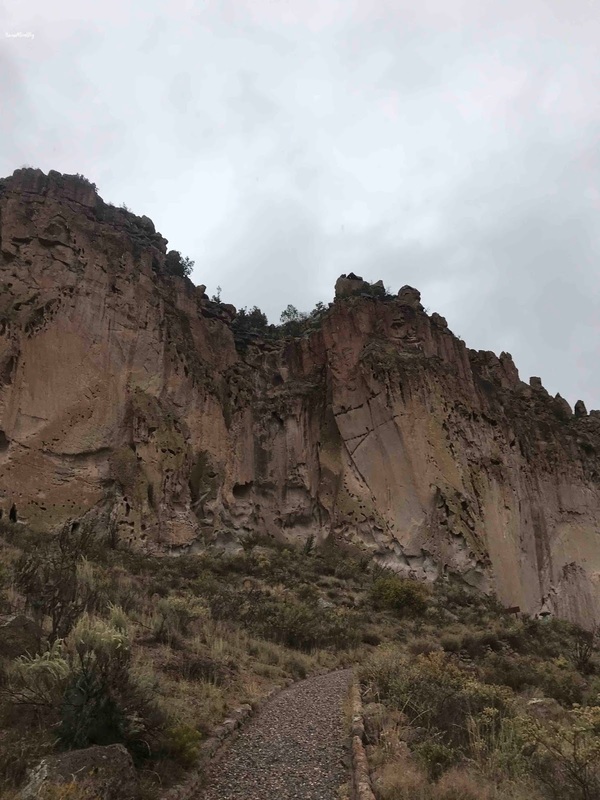 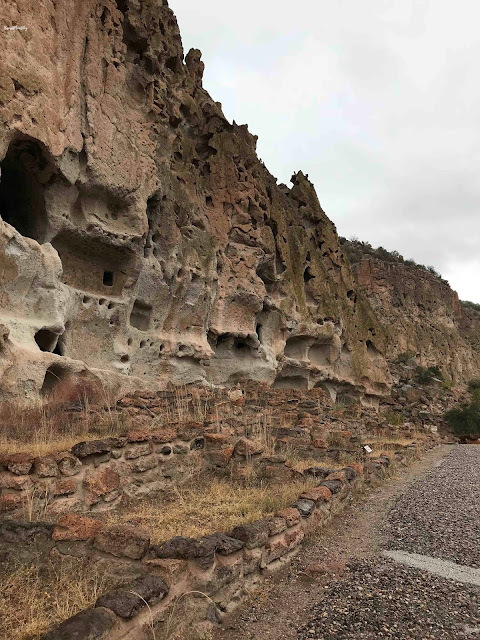 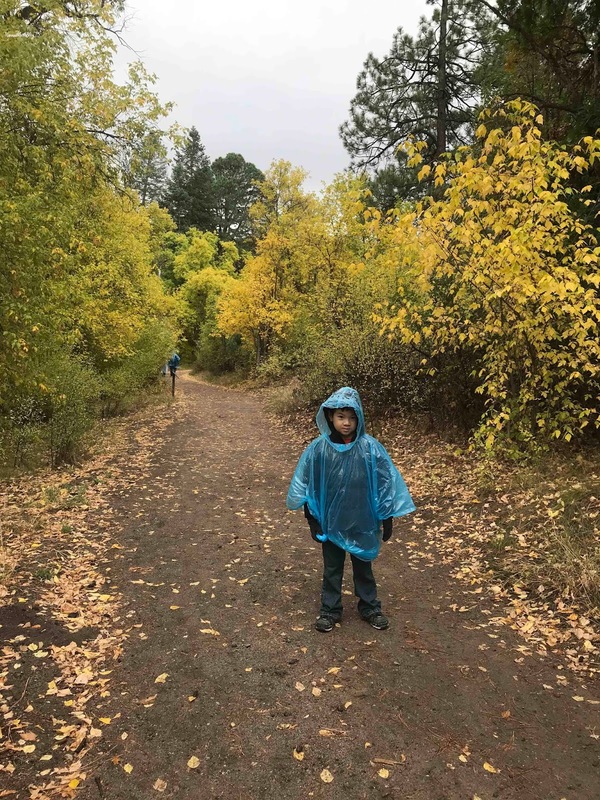 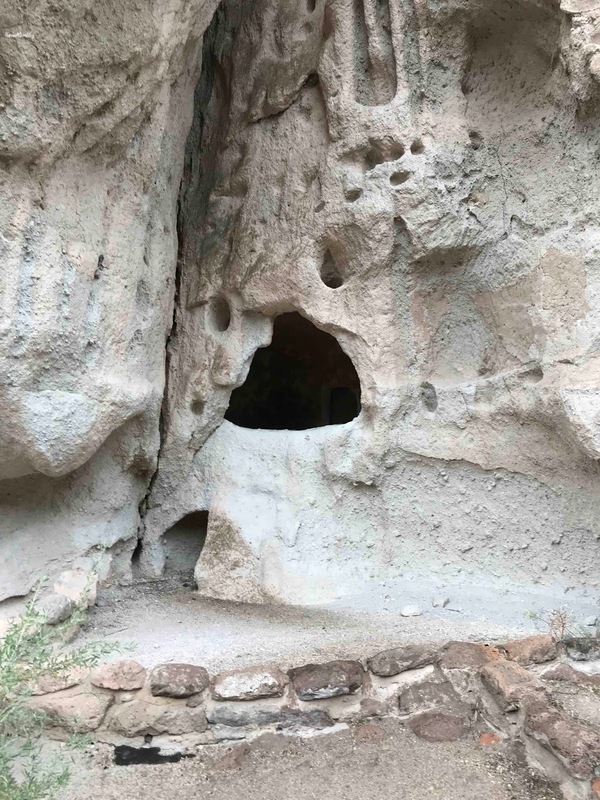 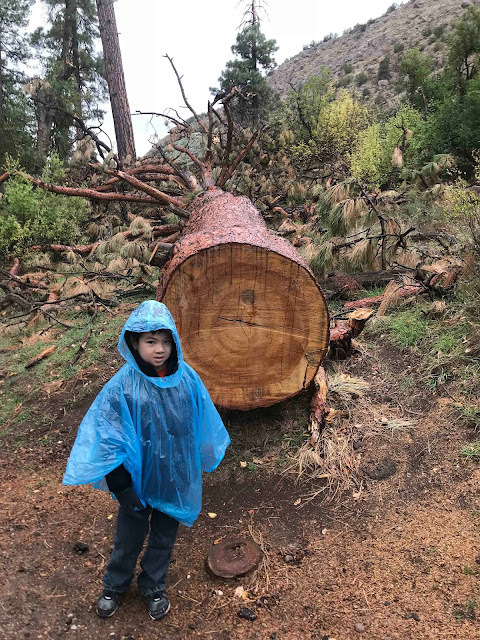 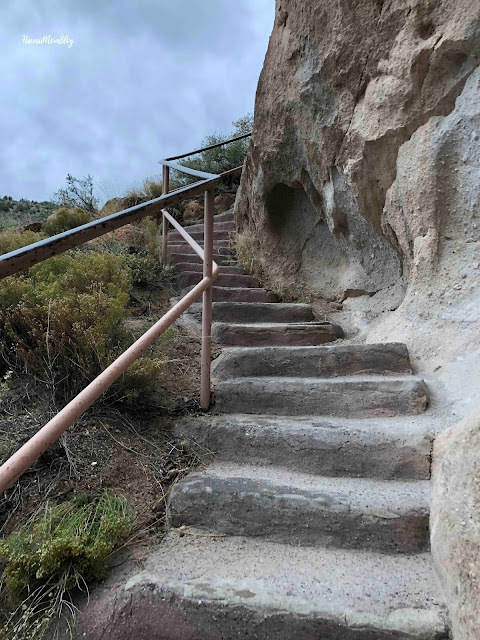 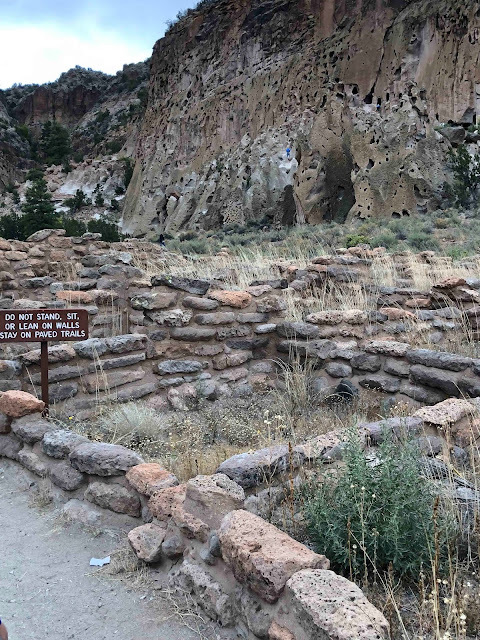 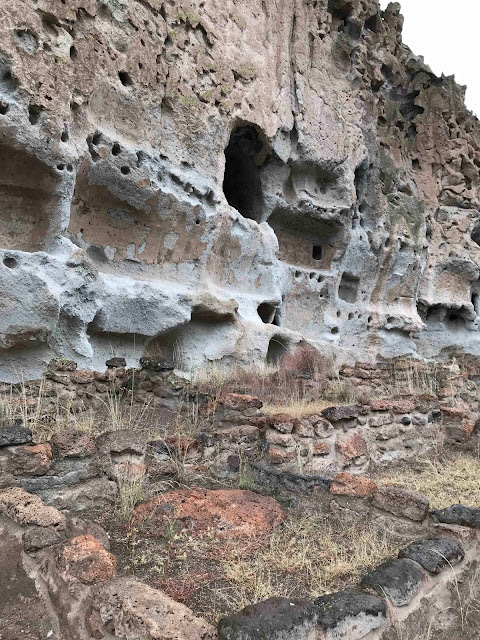 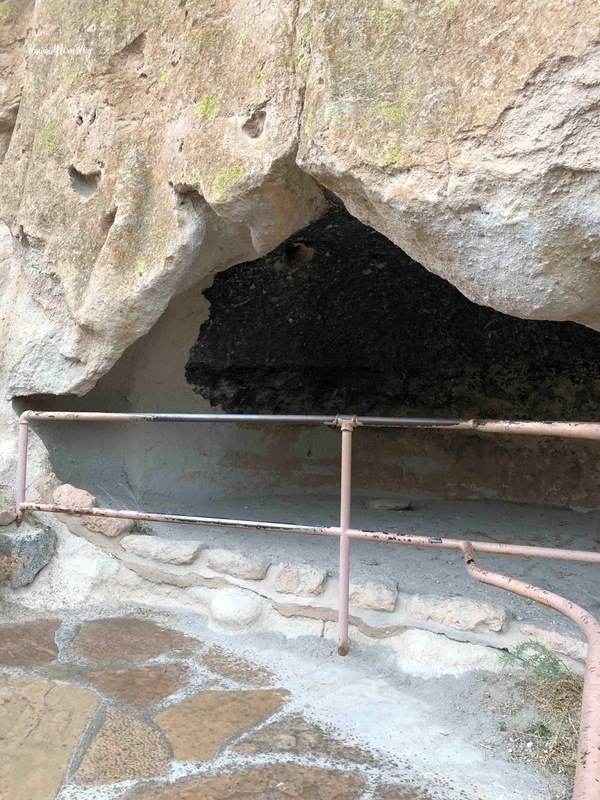 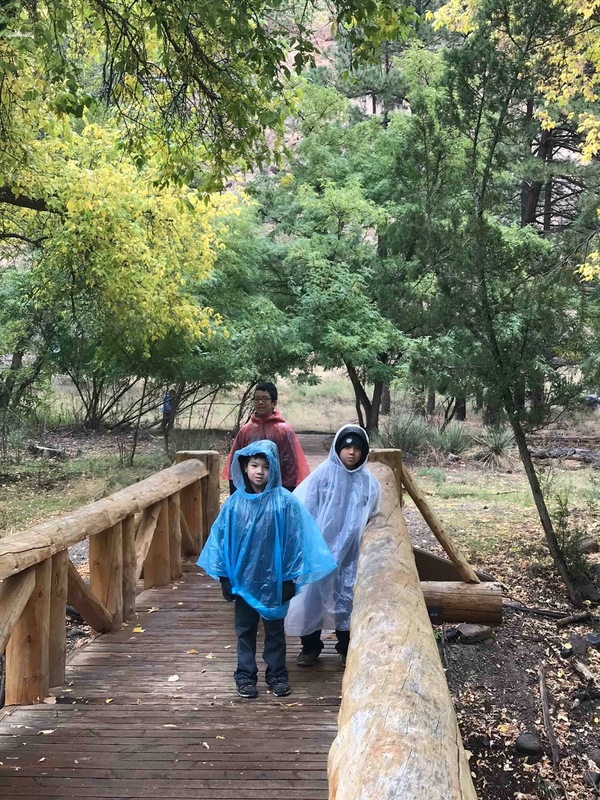 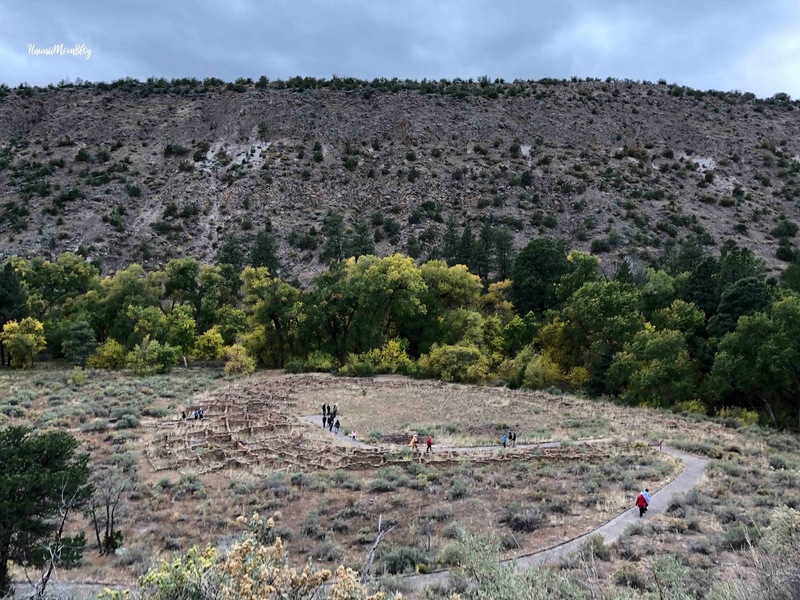 Once at Bandelier National Monument, you can walk the short 1.2-mile Main Loop Trail to Tyuonyi (canyon floor dwellings) and the cliff dwellings, and you may also opt to walk even further to a more primitive trail (we just did the short trail). It was incredibly neat to see the petroglyphs, and the kids loved being able to climb into the cliff dwellings. Thinking about all the Ancient Pueblos created, as well as how much they had to endure (the freezing cold, the animals! 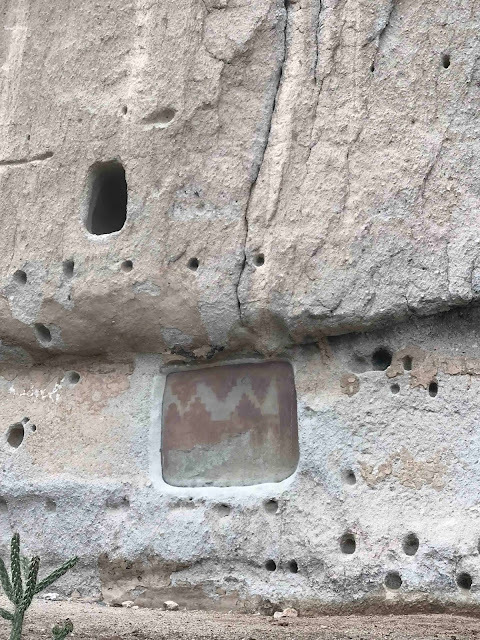 ), and all they had to do to survive really made me appreciate all that I have today. We had such a great time exploring Bandelier. 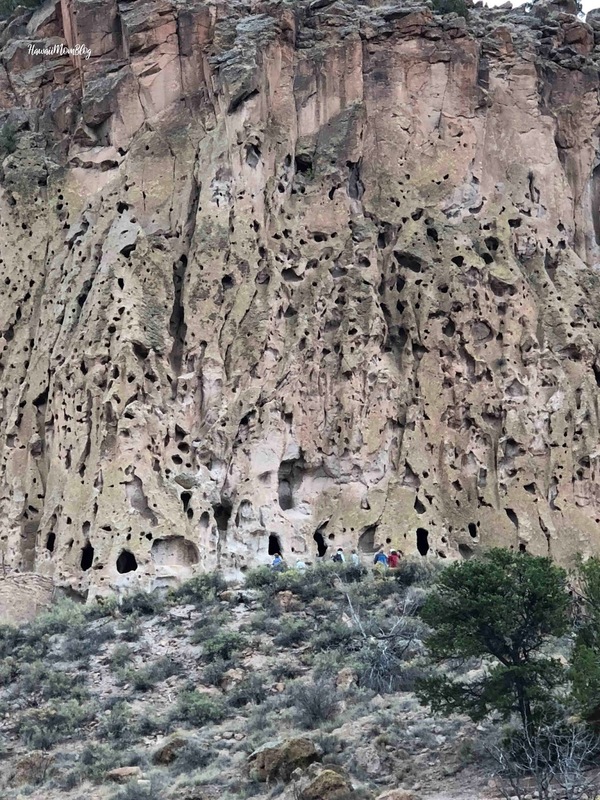 I highly recommend it if you visit Northern New Mexico!